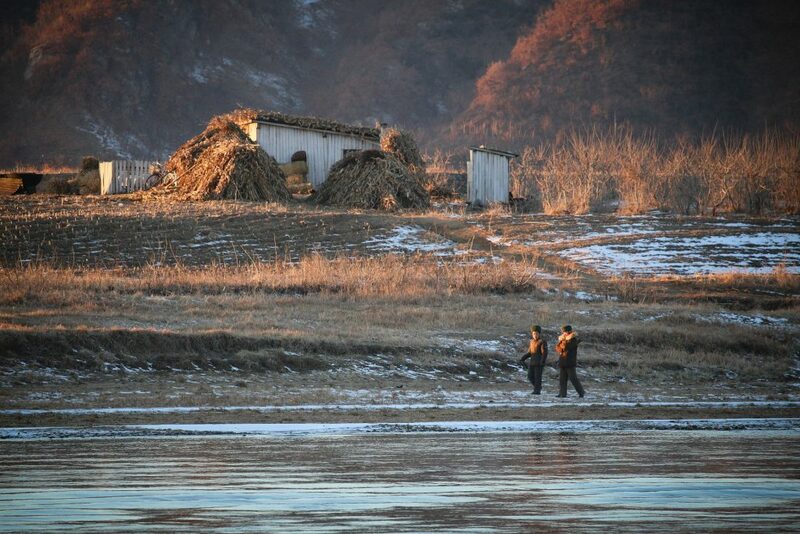 North Korea: Hermit Kingdom emerging from its shell? Pyongyang may be seeking short-term relief from sanctions to ease its economic distress. US President Donald Trump said he is still planning to meet North Korean leader Kim Jong-un in Singapore on June 12. Barely eight months since North Korea’s last nuclear test that saw a heated exchange of inter-Korean rhetoric and fears of war, the North Korean regime has now chosen to voluntarily suspend all of its nuclear and missile tests. Whether this is a watershed moment in international relations on the Korean Peninsula or another North Korean diplomatic/bargaining ploy remains to be seen. North Korea has historically used high-level denuclearisation talks as a means of bargaining for concessions from the international community – in roundtables often led by the US. The last serious engagement, the Six-Party Talks (2003-2007), centred around the provision of energy, food and financial aid in exchange for suspending nuclear weapons testing (but excluded the peaceful use of nuclear technology). 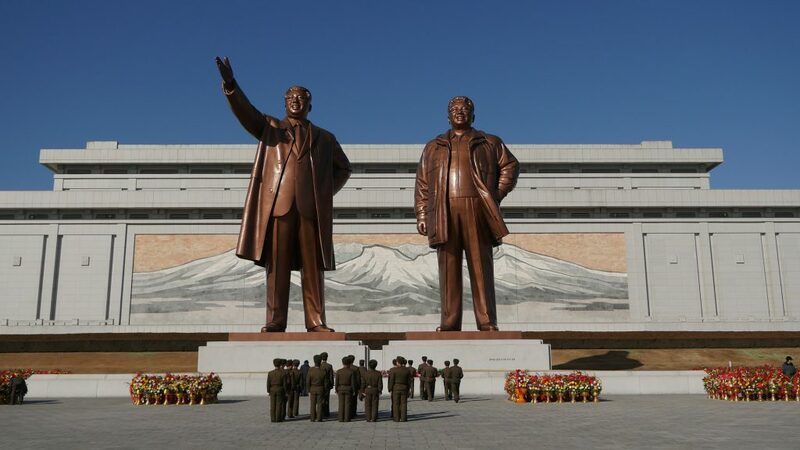 Having secured concessions and guarantees from the international community to provide over 2 million kilowatts of energy, half a million tonnes of crude oil, the removal of North Korea from the US’ list of state sponsors of terrorism, and the unfreezing of North Korean funds in international bank accounts, North Korean diplomats promptly withdrew from six-partite negotiations after launching a satellite. The country proceeded to expel all IAEA inspectors and thereafter conducted controversial nuclear weapons and missile testing until late-2017. North Korea’s action prompted fresh waves of sanctions, with its traditional ally China eventually cutting trade to the bone. Consequently, the current North Korean budget paints a rather dire economic picture. Growth for 2017 failed to meet official estimates, and 2018’s economic expansion is likely to be lower still – down to 3.2% from 4.9%. Should sanctions continue, the North Korean economy could stagnate or shrink — leading to another catastrophe or famine. 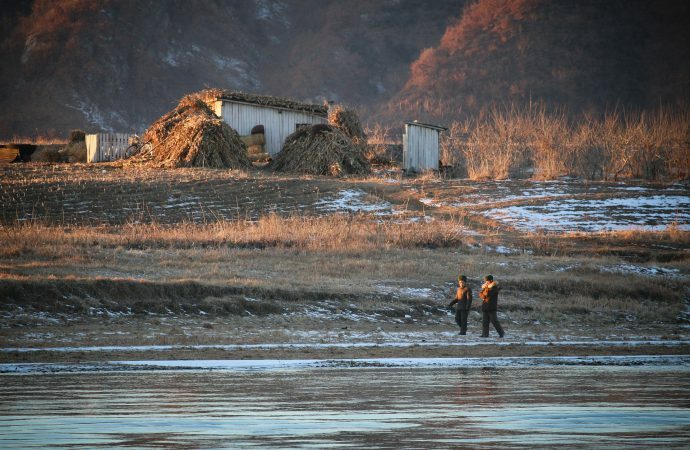 North Korean outreach efforts could be a means of alleviating these economic pressures. On the other hand, President Trump’s escalating rhetoric and strategic US deployments to the peninsula may have instilled the need for de-escalation. 2017 saw the reported deployment of Carrier Strike Group 1 to Korean shores (along with large-scale US-South Korean war games), repeated nuclear and missile tests over Japan, and an increasingly verbose President Trump indicating that the US could undertake unilateral military action against North Korea. Taken seriously, Pyongyang may have concluded that — regardless of its somewhat credible nuclear deterrent — the only way to prevent a war was to negotiate. Further, it is likely that North Korean nuclear tests may have been put on an indefinite hold. Its main test site under Mount Mantap at Punggye-ri collapsed after a 100-kilotonne bomb was detonated – the fifth on-site test since 2006. Chinese scientists have indicated that the resultant fallout – escaping from resultant cracks in the mountain – put the immediate region at serious risk of radioactive exposure. Singapore will host the Trump–Kim summit on June 12. The Southeast Asian nation was reportedly the only other location that Trump considered other than the demilitarised zone (DMZ) between the Koreas. While Singapore maintains a close strategic partnership with the US, it also has close diplomatic and economic ties with North Korea. Singapore and North Korea have exchanged high-level diplomats regularly — including visits by some members of the Kim dynasty as recently as 2014 — and have a relatively robust bilateral trade relationship. Young North Koreans are exposed to technical training (economic, business etc) in Singapore via the Choson Exchange programme and multiple-day ‘workshops’ are organised in the North Korean capital with training provided by notable individuals such as former Singapore Airlines President and Singapore’s former acting President J.Y. Pillay. Singaporeans are also the only national group allowed in North Korea without a visa. However, following North Korea’s nuclear tests in 2017, Singapore has shelved all trade in line with UN sanctions. While North Korea has more important trade partners (in terms of absolute monetary value and trade in goods), isolation from Singaporean assistance is likely to hurt in less tangible but no less significant ways. Specifically, by losing Singapore, North Korea may lose a generation – or generations – of educated, technically literate professionals, throwing up long-term roadblocks to its national goals. The issue of alleviating sanctions, which have led to a loss of international assistance ‘on-loan’, must weigh heavily on North Korean minds. Easing these trade restrictions through roundtable bargaining is almost certainly a central motivator and desired outcome of the Singapore meeting. Due to its international isolation, North Korea has long been an object of fascination for would-be travelers. An estimated 70-80,000 Chinese nationals and about 5,000 Westerners visit North Korea annually, generating approximately $40 million in hard foreign currency. Despite its incredibly tightly-controlled tourism programme, North Korea could be looking to capitalise on tourism revenue. Kim’s plan to relaunch the Arirang ‘Mass Games’ Games in August/September 2018 is likely a means to compensate for a loss of income given recent international sanctions that have squeezed North Korea’s export of labour — which was reported to be worth over $2 billion to the regime. Expect Pyongyang to heavily promote the games while tensions abate on the peninsula during talks. It is unlikely that the bilateral summit will mark a watershed in US-Korean Peninsula relations. 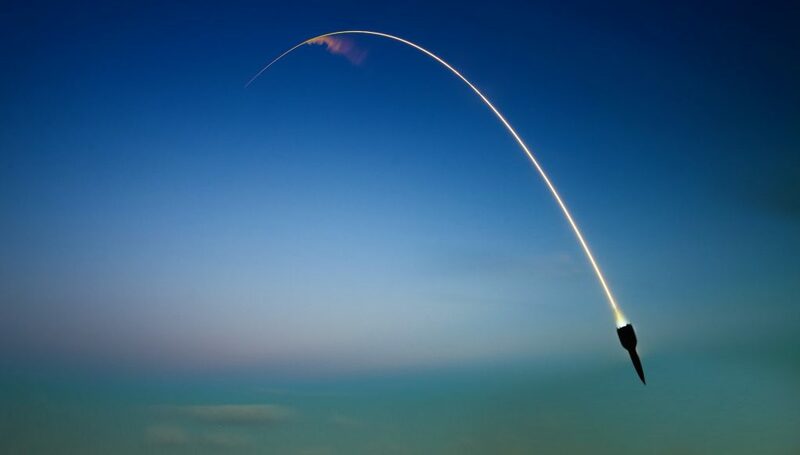 Instead, a careful examination seems to indicate that given historical precedence, North Korea seems to be trying to kill three birds with one stone – stall for time in determining a replacement test site, gain international concessions where possible, and avoid armed conflict. If it is indeed using this as a ploy to buy time in securing a new nuclear test site, then denuclearisation talks are virtually moot – and may be abandoned shortly. Consequently, the geostrategic milieu in Northeast Asia in the years to come is unlikely to differ much from 2017 – marked by heated diplomatic exchanges and a procession of military postulating by all regional parties.